Rudolph Chambers Lehmann was born on 3 january 1856 in Ecclesall near Sheffield (UK). His mother was Nina Chambers, the daughter of the Scottish author and naturalist Robert Chambers. His father, Frederick Augustus Lehmann, was a British businessman and Liberal Party politician who was elected as a member of parliament in 1880. After his college years at Highgate School, Rudolph Chambers Lehmann entered Trinity College, Cambridge, where he studied law. He joined the inner temple in 1875 and was called to the bar five years later where he served on the South Eastern Circuit for a short time, before heading towards a litterary and political career. In 1889, Lehmann co-founded and edited Granta, a litterary magazine published by Cambridge university students. His first contribution to Punch magazine, a dialogue with the title "Among the Amateurs", was published the same year. Within four months of his first contribution, he became a member of staff and regular contributor to the magazine until 1919. In 1893-1894, he contributed in Punch 8 Sherlock Holmes parodies starring Picklock Holes and his sidekick Potson in "The Adventures of Picklock Holes", and in 1903-1904, 8 more as the Picklock return: "Picky Back". In 1918, he contributed a last story with Picklock Holes: "His Final Arrow". He married in 1898 to an American, Alice Marie Davis. They had four children : Helen Chambers Lehmann, the novelist Rosamond Nina Lehmann, the actress Beatrix Alice Lehmann and the writer and publisher Rudolph John Frederick Lehmann. 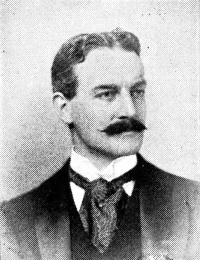 Lehmann was also appointed editor of The Daily News in january 1901 after George Cadbury bought the newspaper, but resigned four months later over differences with the newspaper's director. In 1906, Lehmann came into Parliament with the Liberals for Harborough of Leicestershire. He held his seat as a member of parliament until 1910. He was also a passionated rower and he coached various university teams both from Oxford and Cambridge between 1891 and 1903. After the first world war, his health gradually declined as he developped Parkinson's disease. He retired with his family at Bourne End, Bucks, where he died in 1929 of pneumonia at the age of 73. Lehmann, Rudolph Chambers (LHMN874RC). A Cambridge Alumni Database. University of Cambridge. The History of Punch, by M. H. Spielmann, New York: The Cassel Publishing Co., 1895, pp. 619.